God designed us to have passion in life. It is one of the ways that our gifts and talents can be ignited. Passion is what energizes life. Passion is what have driven famous inventors to create incredible products, scientist to find cures for terrible diseases. 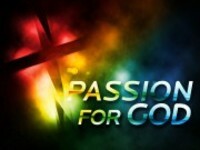 But what is really important is to keep our passion for God ignited at all times. Come listen in and be inspired to be ignited for God!